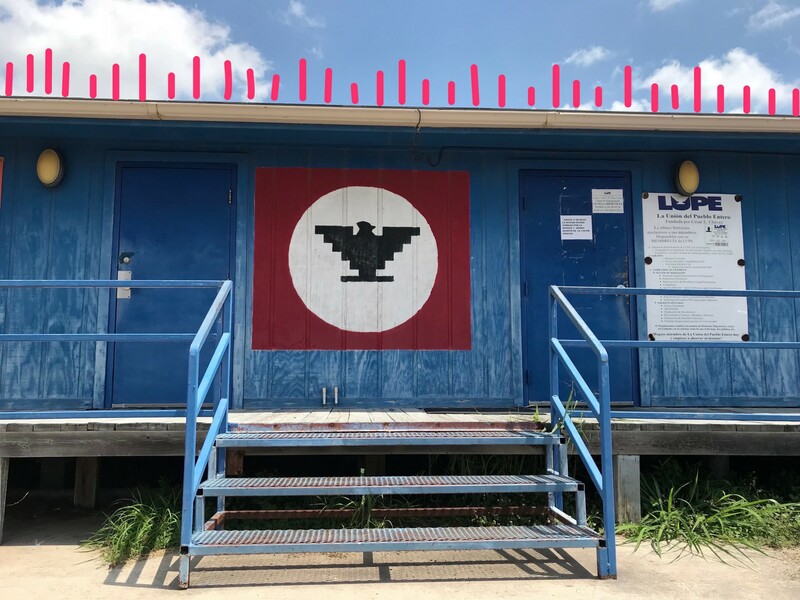 La Unión del Pueblo Entero (LUPE) office in Alton, Texas. May 2018. Photo by Martha. I have a not-so-hidden agenda. I want more researchers in public health and the social sciences to root themselves in community. I was an undergraduate in Chicano Studies at the University of Minnesota when I first learned what it could mean to be a community-based scholar. I wanted to connect my academic work to what was happening in the real world, and so I focused my senior thesis on a topic important to my community. My paper was inspired by the media justice campaign I was involved with to stop local newspapers’ and television stations’ usage of the term “illegal” to refer to undocumented immigrants (a contested issue that continues today on the national stage). I believed that by throwing the weight of science into the mix I could create something tangible to support humane policies and practices. Twelve years later and I am revisiting what it means to be a community-based scholar. Over the years I’ve worked with and learned from students, organizers, and policymakers, on housing, education, and civil rights issues. Throughout these varied spaces and issues there is one thing I’ve found to be consistently true — if we truly want to uplift health and build power for communities pushed to the margins, we have to root ourselves in community. What does this mean? For those that study health inequities in chronic disease, mental health issues, and mortality, our work needs to be in touch with the communities we study and it needs to stem from a love for them. There needs to be respect and guidance from the community as we choose our research questions and methods, as we conduct the research and analysis, and as we write our reports — otherwise we risk replicating the same systems that positioned Native American communities and communities of color at the receiving end of a long-list of inequities. Last spring I wrote about 3 major lessons to guide my work as a public health researcher and advocate. These reflections still hold deep value for me a year later, and they shine a light on ways to center community in research practices. 1. Listen up and tell their stories (with care). Stories were the core of our research. Our project became a living, breathing thing because of the dozens of community members and youth who shared their stories and their voices with us. There were stories of chronic stress and fear due to the heightened policing of immigrants in the Rio Grande Valley; stories of young children losing sleep and struggling in school because their parent had been deported; and stories that touched on a growing edge in public health research: the impact of immigration stress on chronic diseases such as diabetes and hypertension. These stories painted an intense picture of suffering and stress, but they also revealed resilience, strength, and unique ideas for solutions. 2. Lead with love (and salutogenesis). To lead with love as a researcher is one of the most important elements of my practice. It brings me purpose when I struggle with the heaviness of what I learn from community stories, news articles, and research journals. Reading about how current and historic racism cuts into the bodies and mental health of Native Americans and communities of color is painful. My love for my family, friends, and community — which is to say my love for Native, Black, and Brown peoples — is what keeps me grounded. And my love for the future we are collectively working towards keeps me motivated. One way I’ve found to tangibly lead with love is by incorporating the framework of salutogenesis into my research practice. This framework was developed and coined by Dr. Aaron Antonovsky, and it asks us to look at what life factors promote health, which is quite different from traditional public health research that only looks at what factors harm health. By studying what uplifts health and wellbeing for communities facing systemic stress, we are creating space for more robust and complete stories to guide our programmatic, policy, and systems interventions. In the Rio Grande Valley project, leading with love with a salutogenic lens involved asking our focus group participants “What are 2 things about immigration policy that could change in the Rio Grande Valley that would help you be healthier?” and “What would change for you and your family if those 2 things happened?” Leading with love meant listening to them. It also meant we pivoted and devoted more time to the project than was our original 6-month rapid response research plan, because the project needed more qualitative care and attention. 3. Relationships build power (so let’s honor the time it takes to build a partnership). It’s now been six months since our report The Effects of Forced Family Separation in the Rio Grande Valley was released. We joined LUPE for a press conference in October to announce the report findings, and since then we’ve co-presented twice on national webinars. Building this partnership took time and care. We spent two months getting to know each other, creating the foundation for the research before beginning any of the data collection. HIP and LUPE were partners and co-collaborators throughout each stage of the project. We used group video conferencing to hold meetings, as well as frequent email and text messages to regularly connect and iterate during the research process. We are continuing to dream up other spaces and ways to collaborate, and this is because the research process built a strong relationship between our two organizations that we want to expand upon. Challenges to community-centered research exist — but we must push through them. It can be hard to fund, it takes a lot of time, effort, and cultural humility. It requires that we lead with love and that we think about the really big questions of “What will liberate health for this community?” and “What will break the cycle of racism-induced health inequities?” It involves confronting the legacy of public health research inflicting harm on Native communities and communities of color, and a constant vigilance that this history doesn’t repeat itself. It also involves asking hard questions of yourself and your team — are you leading with love for the communities you are studying? If you aren’t, I gently encourage you to consider why you are studying these communities. Do you want to build these principles into your practice? Start with really listening to the stories, all of the stories, and not just the ones that suit your worldview. And commit to building relationships within the communities you are studying — you could start by meeting with community organizing groups and others connected to and living within communities experiencing health inequities. And lastly, if you are a researcher with a personal or familial tie to these stories, let us always remember that we are more than the traumas and the statistics of poor health outcomes. We are love, and light, and ten thousand things more. Martha Ockenfels-Martinez is a Research Associate at Human Impact Partners. She supports the research needs of community partners across the country that are advancing equity and justice. She brings her background in local and state policymaking, community organizing, and advocacy to her work at HIP. 📌 Did you know? Human Impact Partners provides health equity capacity building to public health organizations. Contact us to learn more about our offerings at info[at]humanimpact.org.